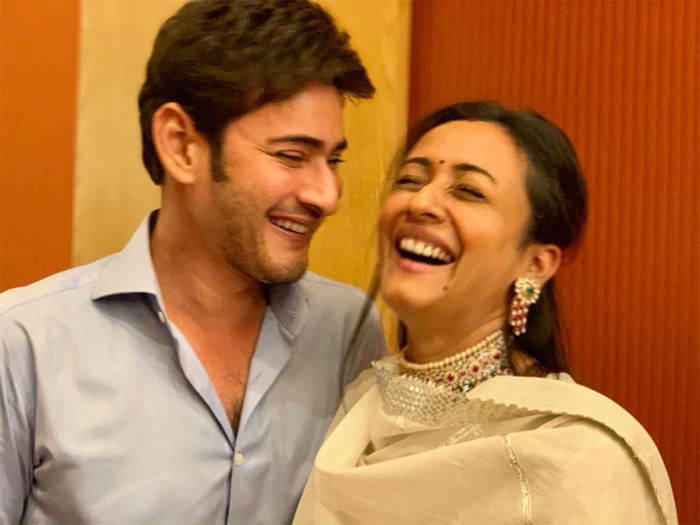 Super Star Mahesh Babu and former Miss India Namrata Shriodkar entered into wedlock and became the most beautiful couple of Tollywood. They stole the hearts of all with their grace and grit and they are blessed with two cute children Gautam Krishna and Sitara. The couple is celebrating their 14th wedding anniversary today (Feb 10). Congratulatory messages are pouring in from all quarters while Mahesh who is popular as family man is celebrating the memorable event in a silent manner along with his wife Namrata and kids Gautam and Sitara. In the midst of all this, Shruti Haasan who is known for her beauty and gorgeous looks sent beautiful wishes to Mahesh and Namrata complimenting them as beautiful couple after Mahesh shared their candid moments. Mahesh shared the snap of him along with Namrata and posted, "Candid moments captured!! Anniversary 14!! Happy Anniversary my love." Shruti replied back "Such a beautiful photograph and such a beautiful couple!"